This exclusive apartment is located at the top of a prominent building overlooking the entrance to the Mood mall and the rooftops on Norrlandsgatan - in the heart of the city! is tasteful and different. The decor is unique from the 30's to 50's. 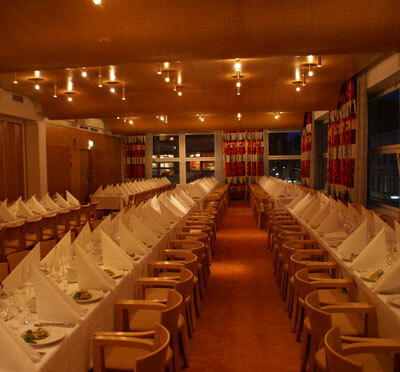 The team att Bygget has long experience of arranging both a conferences and parties. Arranged at nearby hotels. Kontur Konferens can provide a complete package. 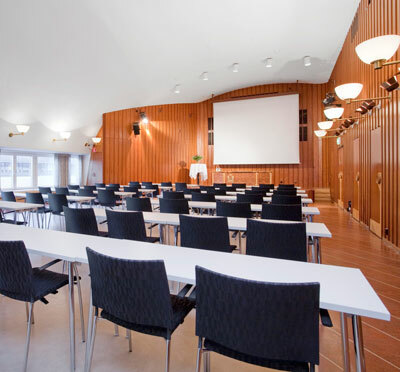 At Bygget there are two practical conference rooms that can be furnished as desired and a beautiful dining room, designed by Sven Markelius. The Markelius Hall has room for 170 people seated in theatre style. The venue has a stage and is equipped with modern technology. The Boardroom is right next door, where you can seat 30 people in a theatre style or 22 in a school seating. 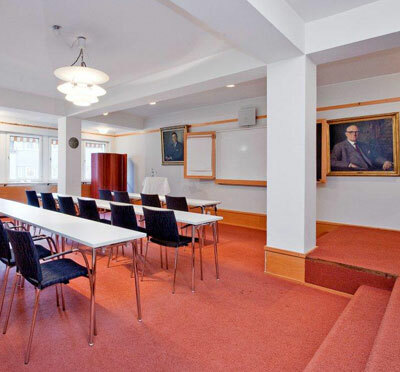 If you rent both rooms, you are alone at Bygget, which means that you have access to the lounge, which is furnished with seating areas as well as the dining room, which is furnished with round tables and is perfect for group breaks. Wireless internet is available in all premises. Bygget is proud of its kitchen and serve high-quality food. The menu offers a wide range of alternatives and always you find something suitable for all kinds of events. Stockholm as a city has a wide range of entertainment and shopping. On Norrlandgatan you will find a rich selection of cool shops and exciting restaurants. The Mood Mall with its wide range of restaurants is next door to the venue. A short walk away you will find the China Theater, Dramaten Theater and Hamburger Bors. Bygget has a fantastic location with a few minutes walk to Stockholm Central Station where you will find communication means such as buses, long distance trains and airport trains. The NK garage is right next door for those traveling by car. Bus stop outside the door and metro station Östermalmstorg and Kungsträdgården only a few minutes walking distance. Have you been to Bygget Fest & Konferens and want to give your own comments?